Home / Advanced Search Settings / Advanced Search results doesn’t work. I am not redirected to advanced search results. Don’t set Advanced Search results as homepage. 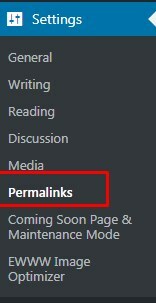 A wrong theme install (theme copied inside theme) will create duplicate page templates and wordpress will not be able to know which is the correct one. Solution is to remove the wrong theme. Have just 1 theme wpresidence in wp-content/themes. You may need to edit all custom page templates and save them again after you correct the error. IMPORTANT! For search to work, custom taxonomies CITY, AREA, CATEGORY and ACTION must have title and slug match. Let WordPress create the slug for the new categories you add. Add Pins and Icons after each slug edit from Admin – Theme Options – Pin Management.